Audio Mixers: Gabriel Roth; Thomas Brenneck. Recording information: Diamond Mine, Long Island City, NY. In 2015, Staten Island's Budos Band surprised fans with Burnt Offering; their first non-numbered title, it delivered a shift in musical direction. In addition to their trademarked fusion of Mulatu Astatke-inspired Ethio-jazz, Afrofunk, and hard-swinging R&B, they indulged a collective love for darker, '70s-era hard rock and psychedelia. With V they have fully integrated the latter aesthetic with the former. The hard rock dimension of their musical persona now exists in an unholy balance with the groove elements of their first three recordings. The set also reflects a new Budos reality: Guitarist Thomas Brenneck and baritone saxophonist Jared Tankel relocated to California, and other members became parents. 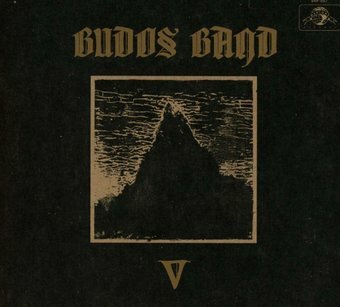 Budos became a bi-coastal outfit whose Thursday night rehearsals and writing sessions were jettisoned in favor of periodic get-togethers when members could travel East. They wrote and tracked V at the same time in their new Diamond Mine recording studio, all within 72 hours. Brenneck took the tapes back with him to L.A. where he and Daptone's Gabriel Roth mixed the 34-minute set.